That’s not to say Windows 10 has been a total disaster—plenty of people have upgraded with no problems at all—but for those of you who are getting a rough ride, the tips below should help. Of course you may have to adapt them slightly to fit the idiosyncrasies and configuration of your own system setup. Here are the most common problems with troubleshooting ideas for tackling them. Battery life is usually an issue whenever there’s a new OS update in town, but this doesn’t seem to have been a huge problem with Windows 10. If you are seeing faster drains on your hardware, check with the manufacturer to see if there’s a firmware or driver fix available that better optimizes the hardware to match the demands of Windows 10. Based on our testing, the regular updates that Windows 10 downloads and installs in the background can have a detrimental effect on battery life: If the charge level seems to be falling fast, updates may be to blame, so if you ride out the initial flurry of patches then you might find that battery life gets better rather than worse. One of the issues we’ve seen with our own eyes is Windows 10 removing the default file associations that we painstakingly put in place in Windows 8.1, so double-clicking on a picture file opens up Windows’ own image application rather than something a lot more useful. This seems to happen even if you tell the upgrade installer to leave them alone. It’s an annoyance but it’s not hard to fix: Launch the Settings app from the taskbar, click System and then choose Default apps. Alternatively, right-click on a file in File Explorer, choose Open with and then Choose another app. Tick the box marked Always use this app as you pick out a new program. Windows 10 has been in its testing phase for a long, long time now, but there are still some applications that won’t like working with it (particularly older ones). If this applies to you, your best bet is to keep checking for updates to the program in question until a fix rolls out—try checking the app forums or contacting the developer directly. Compatibility Mode is still present and correct in Windows 10, so you can try that too: Right-click on an executable, choose Properties and open the Compatibility tab. From there, you’re able to get the program in question running as if it were using a different version of Windows. It’s not guaranteed to work but it might help. Other issues we’ve had first-hand experience of relate to trackpads, which isn’t altogether unexpected: The delicate calibration of this input device is always likely to get thrown off by a major OS update. Unfortunately, there’s not much you can do until your laptop maker or Microsoft gets around to issuing a patch. Heading to the forums of the manufacturer in question and venting your frustration may get the process moving a little faster and has the added benefit of letting others know that they’re not alone. Uninstalling and reinstalling the current touchpad drivers (via Device Manager in Control Panel) may also help get the device working again. One of the most recent updates pushed out by Microsoft caused a large proportion of users to get stuck in a reboot loop—it seems that Microsoft hasn’t quite perfected the update and patch process yet. If you’re comfortably hacking around in the registry, there is a method for fixing it and getting your computer working again. For the rest of us, it’s just a question of being patient until Microsoft’s engineers can solve the problem on their end—you can expect more of these kind of problems in the future, especially in the early days of Windows 10. If you want to disable mandatory updates for Windows 10 then there is a way, but it’s not particularly pretty. With so many different configurations of hardware and software out there, it’s hard to provide specific troubleshooting advice, but uninstalling and reinstalling apps and devices works as well as it ever has—it forces Windows to start from scratch with your programs and peripherals. New updates for Windows 10 are rolling out every day, so it may just be a question of waiting for the right patch or driver update to appear. The main recovery options haven’t changed very much from Windows 8.1: From the Settings app go to Update & security and then Recovery. 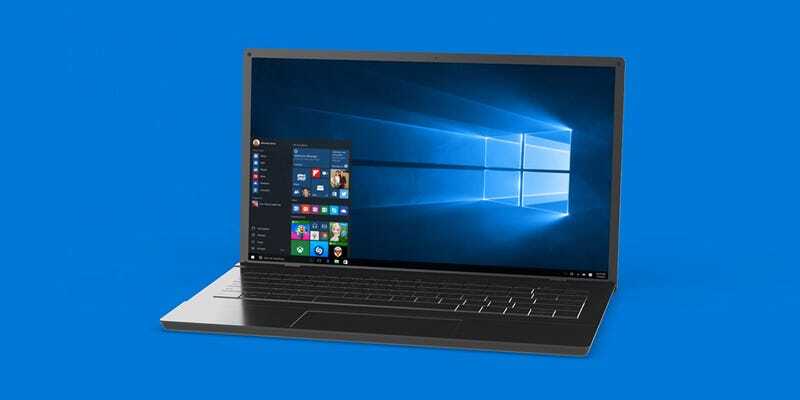 Under Reset this PC you can restore Windows 10 back to its original settings while keeping or erasing your files, while the full reinstall option is under Advanced startup. For a month after you upgrade there’s an option to go back to your previous version of Windows too.